AIPF Report on Bastar: Is it another Maoist propaganda document? The AIPF report is an unprofessional, biased, and motivated document, whose sole purpose appears to be the advancement of the Maoist propaganda. All India People’s Forum (AIPF), a Communist platform formed in 2014 to “take on the offensive of communal and pro-corporate policies that are being spearheaded by the Modi government”, recently published a report on Bastar, a Naxal dominated area in Chhattisgarh state. 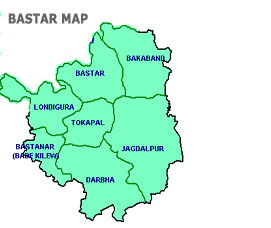 The report titled “Bastar; where the constitution stands suspended” tries to create an impression that there is total anarchy in Bastar region, where law enforcement agencies do not have any existence, and the fundamental rights of the citizens are trampled by Hindutva forces. In the beginning of the preface itself, the report states “Under the cover of a war to ‘save Bastar from Maoism’ or ‘make Bastar safe for democracy’, the constitution is in fact being trampled to make ‘Bastar safe for corporations’ and ‘purify Bastar for the RSS’, thus making it clear that the report is another Hinduphobic, Naxal apologist document, indulging in “suppressio veri suggestio falsi”. The report deliberately turns a blind eye towards many burning issues of the region such as, Naxal atrocities on villagers, public killings of innocent people under false allegations of being Police informants, presence of countless illegal Kangaroo Courts run by the Naxals to punish helpless citizens, children forced to become Naxal foot soldiers and rampant destruction of government infrastructure by the Naxalists. The report comes across as a typical leftist ploy to malign the image of the Indian security forces fighting the Naxal violence, and Hindu organizations propagating democratic values among Naxal dominated society, thus trying to preserve rich cultural traditions from the onslaught of aggressive evangelists. Let us look into some of the allegations levelled against the Hindu groups and the Security forces. Allegation 1: Scores of intelligence officers closely followed 8 members of the AIPF Team in Jagdalpur. The team was stopped, frisked, and interrogated multiple times at a number of CRPF and Police check points. The vehicle numbers were also passed to CRPF camps and in advance for further interrogation. The team was asked to share the names of the villages they visited, along with the names of the people they met. Thus, the safety of those people from Jagdalpur and Sukma who spoke with the team is at stake. Reality: It is a Standard Operating Procedure (SOP) followed by the security forces deployed in the counter insurgency operations. No one is exempted from interrogation and background checks. All the vehicles plying on the roads are noted and their numbers passed onto check-points, so that missing vehicles could be easily tracked in the case of any emergency. So, the portrayal of intentional targeting of the AIPF ground by the security forces in the report has no basis. Allegation 2: Bastar is the area where Christians are systematically being persecuted by Hindu radicals and Bajrang Dal-VHP activists. It is a laboratory for Hindu Nation. Chhattisgarh Gram Panchayat Act’s section 129 (C) is being wrongly invoked to persecute local Christians and to prevent them from building places of worship. In at least 7 villages, construction of Churches was halted by misusing provisions of the aforesaid law. Reality: The aforesaid law prevents anything that is detrimental to the cultural & the religious traditions of the local people (in this case Scheduled Castes). The construction of churches was halted by the villagers because the designs of those churches were totally different from the traditional houses built in the area. So, there appears to no wrong invocation of the law in these cases. According to the office of Superintend of Police in Jagdalpur, the villagers filed complaint under Chhattisgarh Gram Panchayat Act’s section 129 (C) and only then the construction of the churches was halted. Police denied involvement of Bajrang Dal- VHP workers in the matter. Allegation 3: Christian Pastor Pilaram Kawde from Bhadisgao village in Tokapal Panchayat of Bastar district, in his testimony, says that on 25 May 2016, Saradi Bai, an old Christian lady died, but villagers provoked by Bajrang Dal stopped them from burying her. The burial was allowed only after the Police intervened. Reality: According to the Sub-Divisional Magistrate (SDM) office, the villagers did not deny the permission to bury the dead lady on religious grounds, the actual reason was that the family of the deceased lady refused to comply with the rules laid by villagers related to the use of the crematorium. The SDM office further said that not only Hindu villagers, but Christian villagers also opposed burial of the said woman. Allegation 4: Son Singh Jhali, a lawyer, in his testimony has alleged that in Ara village, Bariyo Chowki, Jeypore Thana, District Balrampur, Bajrang Dal organised a mob of 25-30 people led by Shri. Chhotu Jaiswal on Sunday, 5 June 2016 and attacked Sunday prayers in the Church. They vandalized the church, beat up the pastor, his wife and 3 others. A case under Section 295 A, Anti Conversion Act Section 4 and Section 502, 504 and 505 IPC was also invoked against the Pastor. Reality: According to the Superintendent of Police office of Balrampur, the incidence of violence was triggered by the deceitful religious conversions being carried out in the said Church. When the villagers gathered at the Church to take stock of the situation, the violence broke out between both sides. Later, the villagers registered a case against the pastor under Anti Conversion Act Section 4 and the pastor was arrested and lodged in Police custody. Reality: The permission and the NOC, which Pastor John Masih had obtained from the revenue and other concerned departments, were actually meant for the construction of a residential building. Buildings for religious purposes require separate permissions, which the Pastor had never sought. After discovering the truth, the villagers stormed the venue and tried to stop the construction, leading to minor skirmish. The Police has denied any involvement of Bajrang Dal as it was a village level skirmish. The resolution passed by the Karmari village Gram Panchayat under the Section 129 (C) must be seen in the context of a history of Christian conversions by fraud, allurement, and duress present in the said region. It must also be noted that the aggressive evangelists in the region often used derogatory language against the Hindu deities and the resolution aimed to prevent that as well. The Panchayat has informed both the Police and the administration regarding both the usage of foul language by the evangelists, and the passing of the said resolution. Allegation 6: Pastor Munne Lal Pal, who is ex-president of the United Church Union and the Graveyard Management Committee of Jagdalpur claimed that the boundary wall of the 100-year old graveyard was demolished with JCB by Bajrang Dal and VHP workers in the presence of government officials on the pretext of clearing encroachment on government land. When VHP- Bjarang Dal activists were demolishing the compound wall, the administration and police officers turned moot spectators. Reality: As per Jagdalpur DC office sources, the administration had issued repeated notices to the graveyard committee to clear off encroachment on the government land, but when notices were ignored, administration decided to clear off by force. The administration also denied any involvement of Bajrang Dal- VHP in the issue and termed it as a mischievous act of propaganda. Allegation 7: Sanauram Gotta from Tumasnar village of Kanker district stated that in March 2016, Christian villagers were asked to donate “Chanda” for the construction of a Hindu Temple. When Sanauram Gotta, refused to pay “Chanda” stating that Hindu villagers always boycotted functions at Christian houses, the Hindu villagers declared a social boycott of the Christians. Reality: The villagers from the said village have stated that they don’t prefer to attend functions organized by the Christian villagers, because the organisers often used derogatory language towards Hindu rituals and Hindu deities. The villagers also denied the charge of imposing a social boycott on the Christians. Reality: The Police, while confirming the incidence, termed it as a village level clash and denied involvement of any groups like Bajrang Dal. Social workers active in the area have opined that frictions and infighting within a family due to conversion into Christianity of some of the family members have become a common phenomenon in the state and often does not involve any outside instigators. These are some of the instances wherein the allegations made in the report have no basis in reality. The AIPF team appears to have prepared the report with a singular agenda of portraying the security forces and the Hindu social organizations in a bad light, even if it means promoting unverified claims and falsehoods as “truths”. The report also appears to whitewash the controversial issue of evangelism using force and fraud, by portraying pastors as victims, without discussing the larger issue of dangers of evangelism. The AIPF members have taken serious objection to the government placard placed at numerous places, which reads “Renounce Maoism, Support Development”, thereby equating Maoist with violence and anti-development and the government efforts with development. Though, it is true that not all government efforts lead to development and many of these efforts are indeed plagued with corruption and politics, this does not mean Maoism is any kind of ‘messiah’ of people. 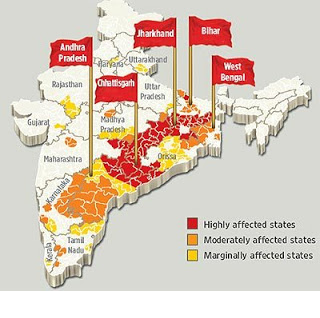 On the other hand, a perusal of the history of Maoist movement in India shows that they have used and abused poverty and tribal identities in their war against the government and democracy and have continuously disrupted government’s efforts to make development reach remotest areas of the country and integrate them into mainstream. The AIPF members were enraged that they were asked numerous questions by the security forces. But, what else do they expect in a Maoist infested area, which is prone to violence and gun fights day in and day out? Maoism has grown manifold over the last many decades and accounts for a third of all terror attacks over last three decades. Such being the ground reality, how else should the security forces handle the safety and security of the region, if not through monitoring of the movements in and out of the area? That the AIPF team in their “Conclusion and Recommendation” asks the government to stop “Operation Green Hunt” and other similar operations against the Maoists and withdraw paramilitary forces completely from Bastar region, all the while not addressing the issue of Maoist war against India (except for a single statement stating “Maoists must desist from from violence against common people”), clearly shows the entire report is nothing but a propaganda material aimed at misleading the commoner and pressurizing the government into providing open field for Maoist activities. A considerable portion of the 52 page AIPF report is dedicated to targeting Hindu groups like Bajrang Dal (22 references), RSS (2 references) and VHP (2 references). It appears for the AIPF, the unarmed Hindu groups are more dangerous than armed Maoists. The report has completely ignored the abusive and aggressive evangelical activities carried by the Christian Missionaries, but has left no stone unturned to grill and defame Hindu groups trying to preserve indigenous culture. The report has no single mention of Sangh organizations like Vanvasi Kalyan Ashram, which are running thousands of educational, health and service projects in Bastar region. Also the AIPF has ignored numerous incidents of atrocities against the Vanvasi Kalyan Ashram by the armed Maoist. AIPF report continuously tries to portray the paramilitary forces as the enemy crushing the local people, all the while ignoring the supreme sacrifice done by thousands of security personnel for ensuring safety and peace in the region. There is not a single reference to extortion rackets, kidnapping, rapes, public executions, destruction of pubic properties, etc. perpetrated in by the Maoists. There is no mention of recruitment of adolescents and minors into Maoist armed forces, which is a clear violation of United Nations Security Council resolution 1261, which prohibits use of child soldiers. The AIPF report is an unprofessional, biased, and motivated document, whose sole purpose appears to be the advancement of the Maoist propaganda. It paints the security forces and the Hindu social organizations as villains, all the while shielding the aggressive and fraudulent Christian evangelical activities. The response has been compiled after talking to various administrative officers and personnel in the Chhattisgarh Police posted in the Bastar region. The author is the Director of ICRR- Institute for Conflict Research and Resolution; Defense and Security think tank based in Guwahati.